Track time while on the go from your Android phone. 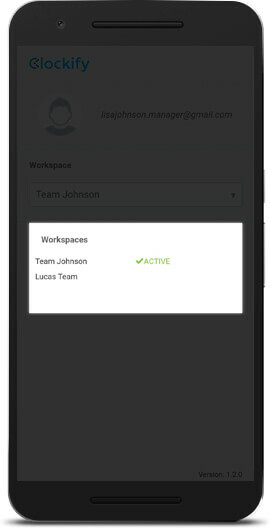 Before you can start tracking time, you first have to have a Clockify account (you can create one here for free). Once you have an account, type your email and password to log in. You can also log in with your Google account. 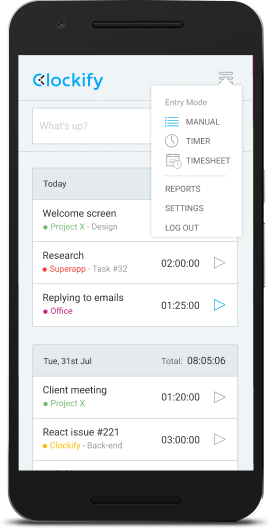 To add time, first change time tracking mode by tapping on the menu icon in the upper right corner and choosing “Manual”. 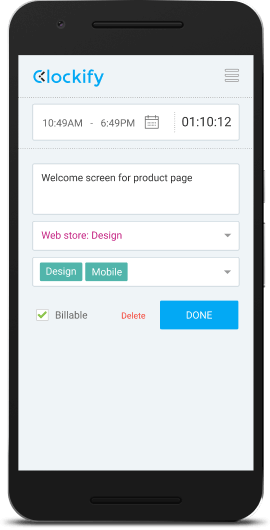 Then, you can enter duration, tap Add, and fill what you’ve worked on in the next screen. 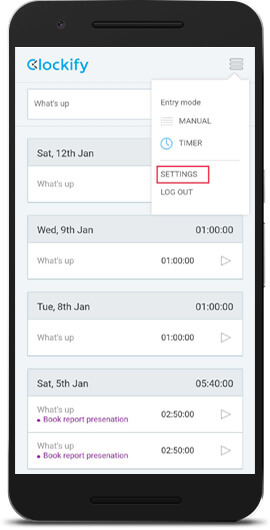 To delete a time entry, tap on a time entry to bring out its details, and tap Delete (located next to the Done button). To switch Workspaces on the Android app, tap the little hamburger icon, go to Settings, and choose the Workspace you’d like. 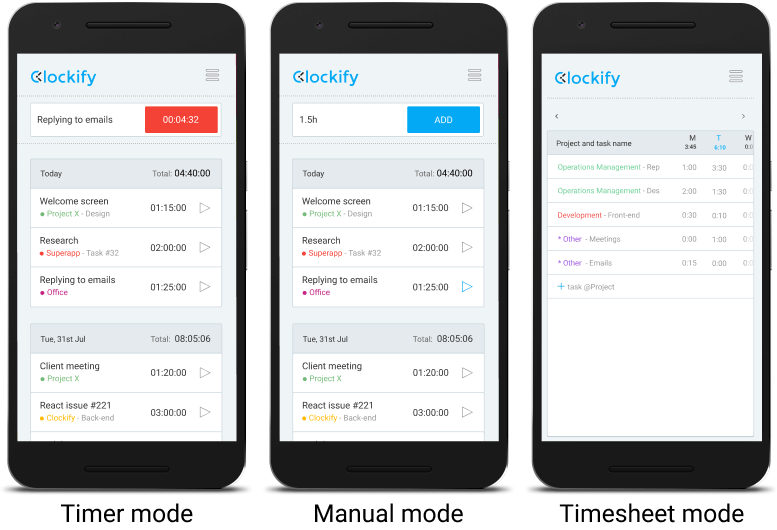 You can track time in Clockify on your Android even offline. You can create time entries manually or start/stop the timer. Entries made while offline will be saved locally on your phone. Once you get back online, they’ll get synced with your web account. When you’re offline, you won’t be able to see your other time entries, only those that were created while you were offline and which haven’t been synced yet. Projects, tasks, and tags are not available while offline. 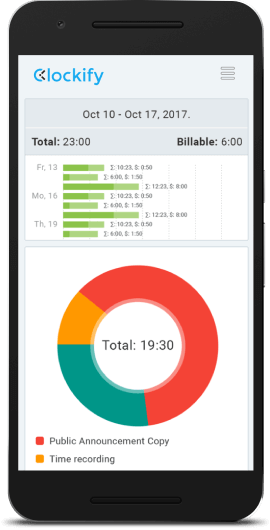 In-app reports help you see where you spend most of your time, broken down by day, month, and project. For more extensive reporting, use the reports in the web version.